Fake trees and wreaths are made from nonrenewable petroleum products that often contain toxic metals like mercury and lead. REAL Christmas trees are free of lead, mercury and other toxins. REAL Christmas trees and wreaths do not harm our environment and our resources... they are produced as a renewable agricultural crop. Each year on our farms we culture a new tree up from the remaining branches on properly cut stumps. You understood that right! You are not “killing” a tree when you cut as we instruct! A new tree will grow from the very stump where you cut your tree this year. Where we have suffered losses due to improper harvesting or natural mortality, we plant new seedlings. Tons of greenhouse gasses are produced every year while manufacturing fake trees, fake wreaths and fake “greenery”. During a REAL tree’s life, many tons of carbon dioxide are absorbed by the REAL trees and naturally processed into life-giving oxygen while providing food for the tree through photosynthesis. The choice of a REAL tree reduces your Carbon Footprint! A properly cared-for REAL Christmas tree that is kept in water will not catch fire easily. In the unlikely event that a real tree does catch fire, the smoke produced is just that, smoke! Not a poisonous toxic cloud of burning plastics, paint and metals. In addition, one acre of REAL Christmas trees remove carbon dioxide from the atmosphere and produces enough oxygen for 18 people. Our cities today are faced with a critical shortage of sanitary land fill space. Many of them, and states as well, have implemented Christmas tree recycling programs. REAL trees are thus being used in various helpful ways when disposed of...such as ground-up mulch to replenish the soil, trees are submerged in lakes and waterways as fish habitat and other useful methods. Fake trees are manufactured primarily overseas, mainly in China. We hear much today about our economy being faced with a loss of jobs. Why do we continue to promote loss of jobs in the Christmas tree industry by buying and using fake Christmas trees and wreaths when very few fake trees and wreaths are made in the United States by American Labor? Thousands of jobs have already been lost in the Christmas tree industry because continued sale and use of fake trees and wreaths due to misleading advertising by the fake tree importers. The fact is that the fake tree buyer will only use the fake tree for 3 to 5 years before it becomes so ratty looking from sitting in the box or a plastic “body bag” for 11 months out of the year they are embarrassed to put it up in their homes to celebrate Christmas. So despite what the fake tree industrial complex propaganda says, your fake tree will look worse and worse every year. 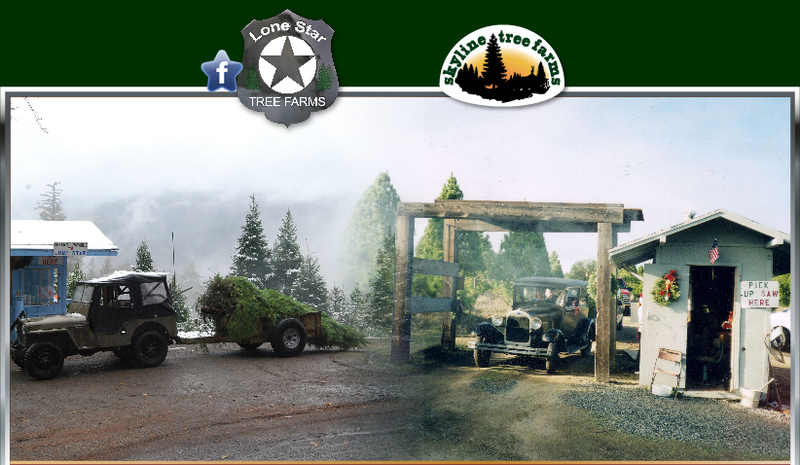 The first fake trees in the United States appeared in the 1930s and were manufactured by the Addis Brush Company. Using the machines they used to produce toilet brushes, the Addis Company simply made a giant green toilet brush. Think about that. Do you really want a fake tree that shares its “roots” with a toilet brush?